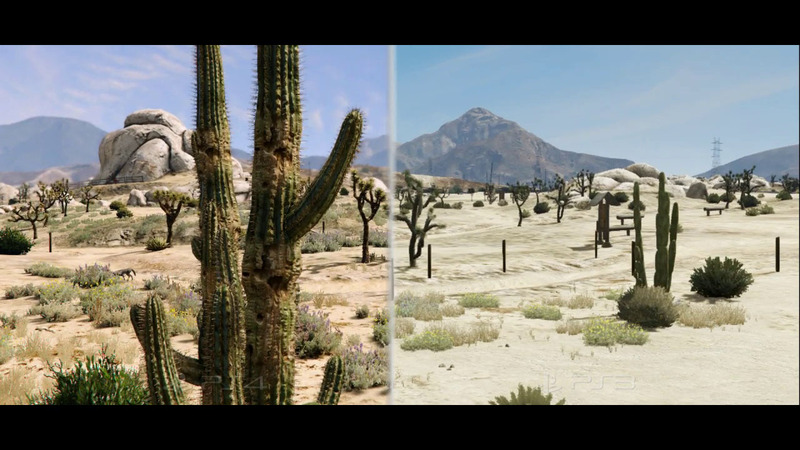 Buckle up and prepare to experience Southern San Andreas from a whole new perspective. 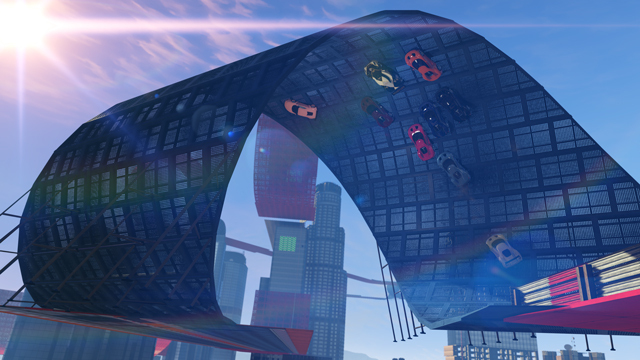 Today, Cunning Stunts takes GTA Online racing to epic new heights with a series of 16 brand-new, high-octane Stunt Races that feature everything from winding tubular tracks amongst Los Santos’ tallest skyscrapers to technical courses through canyons, over water and across the desert. 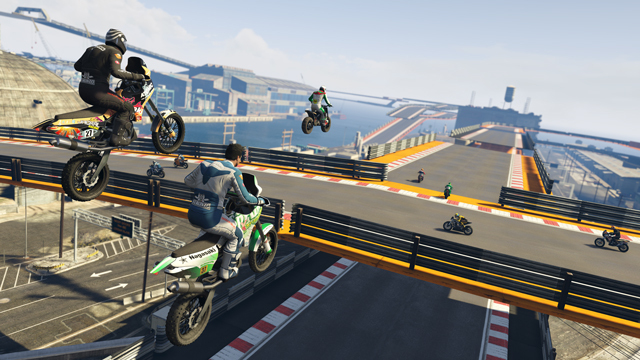 Stunt Races utilize ramps, loops, wall rides, tubes, raised tracks and dynamic objects for a radically new take on GTA Online racing. This is unlike anything you’ve seen before: tracks coiling up into the sky, skyscraper jumps, turbo-boosted corkscrews at 20,000 feet... and that’s before you get to the giant bowling pins and the rings of fire. Races run the gamut with unique locations across San Andreas and feature harrowing heights, incredible speeds and a dazzling spectacle of fireworks, lights, sounds and stomach-churning twists and turns. To get instant access to these brand-new Stunt Races packed with like-minded adrenaline junkies, just look out for the pink Stunt Series blips scattered across Los Santos and Blaine County, and enter one to get taken straight into a series of Stunt Races. It’s a brave new stunt-filled world out there in GTA Online, and you’re going to need some serious horsepower if you want to keep up. Lucky for you, 13 vehicles new to GTA Online are here to meet your every need: from the avant-garde stylings of the RE-7B to the utter brutality of Vapid’s Trophy Truck, no matter how unhinged your heart’s desires we’ve got you covered. 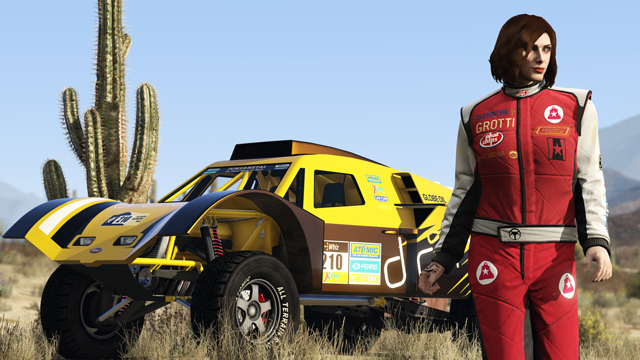 And now available in retailers across Los Santos, a cutting edge range of extreme, race-themed fashions. Flaunt your corporate ties with brand-sponsored racing jerseys, deck yourself in head-to-toe racing gear, or go full method in a stuntman suit. You may be little more than a blur, but that’s no reason not to look the part. There's also 50 new tattoos and lots of new features - including new helmet visor animations and a complete re-tooling of the Player Interaction Menu which includes the ability to choose your default Racing Outfit. 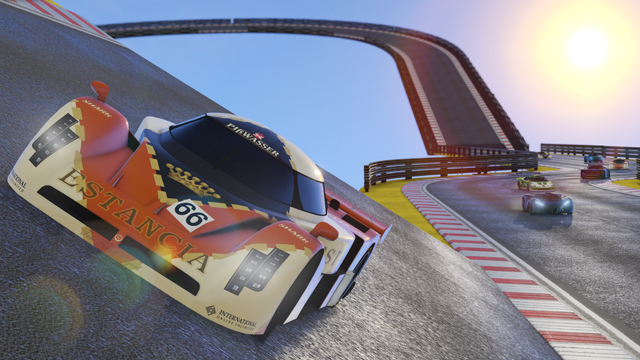 Over the next three weeks, look for more Stunt Races and vehicles to be added to GTA Online as part of Cunning Stunts, culminating in the release of the Stunt Race Creator on August 2nd, which will give the amazingly talented GTA Online Creator community the opportunity to tap into hundreds of Stunt Props along with new features and improvements to forge the most outrageous stunt tracks of their dreams. Pay homage to Jock Cranley’s glory days as a stuntman by unlocking the exclusive Black Jumpsuit which bears his name. Simply log-in to GTA Online any time this week and your Black Jumpsuit will be automatically added to the Special Items in your character’s Wardrobe. This is the perfect outfit for staring down your enemies on the starting grid of one of the new Stunt Races, or for enjoying the view from your Nagasaki BF400 as you sail through a fiery ring on your way to victory. With brand new vehicles to purchase and collect, we’re sure you're itching for garage space to store them. This week take advantage of 20% discounts on purchases of any Property that comes with a Garage INCLUDING Garages themselves. This applies to all Apartments, Penthouses and Stilt Houses, so as if the extra parking wasn’t enough reason, you also get a brand new home to lay your helmet. There’s 15% off select car mods this week including Brakes, Suspension and Engine mods. Make sure your ride is fully tuned to max out the air time on those jumps. 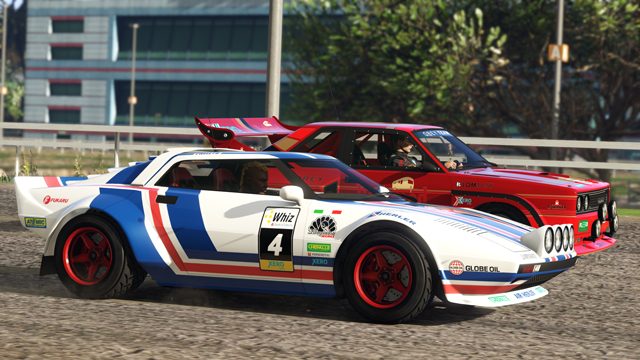 Rockstar is also looking for 5 cunning Snapmatics featuring the brand new vehicles and races. The 5 successful photographers will all win themselves GTA$1,000,000 to put towards their next photoshoot in-game. Entry open until end of day next Monday July 18th and entries must be tagged with #stunts on Social Club. To check out the entries thus far, head over to the featured tag on the Social Club Snapmatic pages. Official rules. 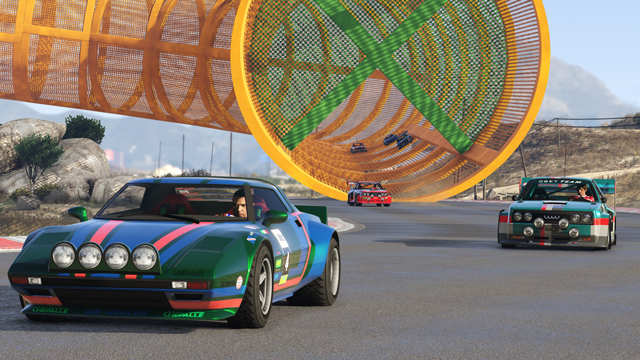 Finally, the Official Cunning Stunts Event Sweepstakes is underway NOW – enter via the simple form on the Social Club Events Page before midnight Mon July 18th for a chance to win an array of awesome GTAV merchandise. Official rules here. What are you waiting for? Get going and hit up the forums! 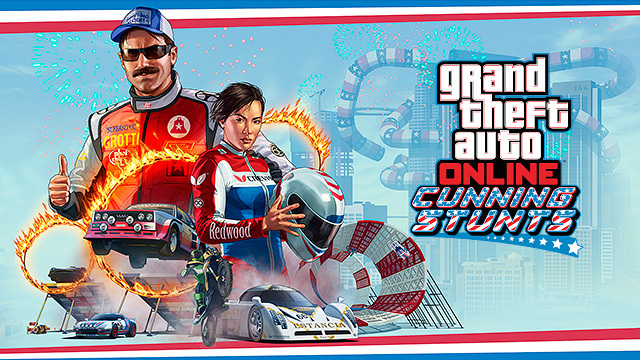 GTAO Cunning Stunts Now Available - The much-awaited stunt DLC is now live! Cunning Stunts takes racing to new heights!